Packing peanuts, which are made from plastic #6, never biodegrade. Because they are so light, they are also difficult to contain. They often fly out of the trash as well as landfills, contaminating the environment. 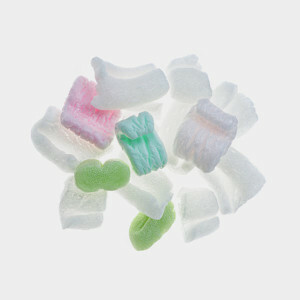 If you have to use packing peanuts, try to pick the green ones. Some are made from recycled materials, and some are starch-based and biodegradable. The pink and white ones are made from 70 percent raw materials and won’t break down. Visit Home for Foam to see if there is a foam recycler in your area. These recyclers will accept many foam products, including styrofoam packaging. Find out more. Send your styrofoam peanuts and hard packaging to EPS Industry Alliance Packaging, which offers a styrofoam recycling alternative. Find a drop off location or mail in clean styrofoam packaging to the nearest collection facility. Rather than purchasing packing peanuts, use a more sustainable alternative to protect your shipped items, like paper or newspaper that was headed for the recycling. Try reusing shredded paper, which is difficult to recycle. Replace your packaging with a green alternative: Ecovative Design has developed bricks of organic waste that are injected with mushroom spores. They are biodegradable and will decompose in a month, unlike styrofoam, which cannot fully biodegrade. Packing peanuts are easily reusable. Just save them and next time you ship something that needs protection, use the packing peanuts again. Use styrofoam to refill cushions or stuffed animals that have lost their loft. You can also use styrofoam to line the bottom of your potted plants—you won’t need as much soil and it will allow water to drain easily.